A celebrated chef and social entrepreneur, Simon has received numerous awards and accolades over his varied career. Simon Boyle received a Foodservice Catey at the 2018 awards held at the Park Plaza Hotel. The Catey’s are renowned as the Oscars of the hospitality world. Simon was recognised for his outstanding contribution to the industry and for going the extra mile. Awarded to Simon Boyle, Brigade and Beyond Food. Simon Boyle was named by the Evening Standard in The Progress 1000 report. 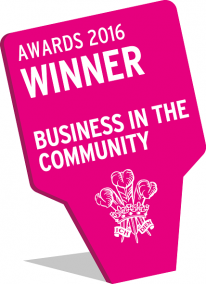 Simon Boyle was selected as a finalist at the Business in the Community awards, for his work as a positive force for change. Brigade has been awarded the Certificate of Excellence from TripAdvisor. Brigade was voted the winner of OpenTable's Diners' Choice Award, based on the feedback of thousands of local diners. Brigade was one of the nominees for the Food Made Good Awards, audited by the SRA’s Food Made Good sustainability programme, recognising delicious, ethical and sustainable food. Simon Boyle has been appointed to the editorial board of Chef Magazine, working alongside Marcus Waring, Mark Hix, Philip Howard and other esteemed chefs. Every £1 invested in Brigade has generated an estimated £1.57 for society. The social value was generated as a direct result of Brigade’s activities in its first three years of operation, estimated to be a total of £3.6m. Le Club des Chef des Chef , with members including Kings, Queens, Presidents and Prime Ministers from around the world, honoured Simon Boyle’s work in the hospitality industry by presenting him with an honorary diploma in 2014. Known as the Oscars of the hospitality world, the Craft Guild of Chefs Awards recognised Simon Boyle as its People's Choice winner in 2013, with the award itself presented by the Countess of Wessex. Simon Boyle and the Beyond Food Foundation partnered with the Homes and Communities Agency, PwC and De Vere Venues in 2010 to open Brigade restaurant. The restaurant has been training people at risk of homelessness while serving high quality cuisine to the general public ever since. Beyond Boyle rebranded and became Beyond Food Events: a London based events business led by Simon and his late wife Annette. Serving high profile seated and standing events for between 600 and 1,000 people, Simon led the way in social enterprise catering. In 2010, Beyond Food turned itself into a charity and Simon started work on Brigade restaurant. Simon Boyle's Beyond Chocolate venture was a social enterprise project in partnership with Waitrose, offering people vulnerable to homelessness a chance to gain skills in food production and factory work. Beyond Chocolate was sold in all Waitrose stores and is still seen as being a groundbreaking brand. Beyond Chocolate has been incorporated into the Beyond Food charity. Simon Boyle was awarded a £60k grant from the Spark Challenge to invest in his social enterprise business. Spark Challenge also connected Simon with executives from BT and PwC, marking the beginning of his long-standing relationship with PwC. Simon Boyle was invited to appear on BBC's Dragons' Den in 2008 to pitch for funding for Beyond Boyle. He drove Deborah Meaden to tears, received a promise of help from Duncan Bannatyne and was offered support outside the den by Peter Jones and Theo Paphitis. Simon Boyle’s successful team-building and events business entered the London market at the House of St Barnabas in Soho. Simon’s team transformed the former homeless hostel, re-employing its beneficiaries and training them up as hospitality staff. The work of Beyond Boyle now shapes what he does today. Simon Boyle volunteered in a team that created a relief camp in Parrallia, near Hikkaduwa in Sri Lanka in 2004. Simon Boyle was appointed as the first Culinary Ambassador to the Unilever board, helping redevelop the company’s food culture internally and externally. Simon Boyle managed Mosimann's Academy in Battersea, London, also consulting for international projects on behalf of Mr Mosimann. Simon was appointed Executive Chef aboard MV Minerva, a cruise ship for the elite, while travelling to the furthest corners of the world. Simon Boyle was appointed Senior Sous Chef aboard the newly inaugurated MV Oriana, P&O’s flagship cruise liner. Simon Boyle received an Acorn Award, affectionately known as the '30 under 30', recognising the brightest prospects in the hospitality industry. Simon Boyle was part of the Michelin-star winning team at this New Forest hotel. Simon Boyle worked for four years (1988-1991) at the most prestigious hotel in the world, having been awarded the first ever Specialised Chef Scholarship – a three-year advanced apprenticeship – sponsored by The Savoy. Simon Boyle was recognised by the National Training Awards as Trainee of the Year. Simon Boyle received a Specialised Chef four-year diploma with The Savoy Hotel, Academy of Culinary Arts and Bournemouth and Poole College.